Medical Mission Sisters, 77 Sherman Street, Hartford, CT 06105. 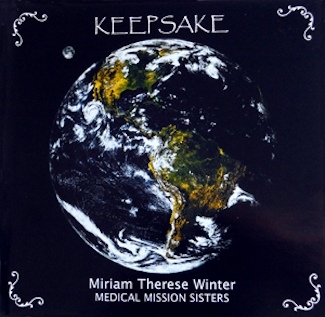 Keepsake is a collection of songs old and new written by Miriam Therese Winter, a Medical Mission Sister and director of the Women’s Leadership Institute (WLI) at Hartford Seminary in Connecticut. Sung by a choir of WLI alumnae with keyboard, guitar, dulcimer, and percussion accompaniment, the songs speak to women’s (and men’s) spirits through beautiful harmonies, lively rhythms, and vivid, poetic words. Biblical images and texts abound in the songs. And what better source of texts and poetry can there be for our spirituality? Job and Moses (“In a Whirlwind”), the Virgin Mary (“Christmas Ballad”), and the ten wise and foolish women (“Ballad of the Women”) figure in these songs. The comforting words of Jesus weave through them. 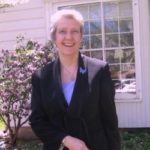 M. T. Winter knows and demonstrates in her hymns that God’s Word speaks to us today with as much significance as it did when Miriam and David and Paul first composed the words of biblical psalms and hymns. 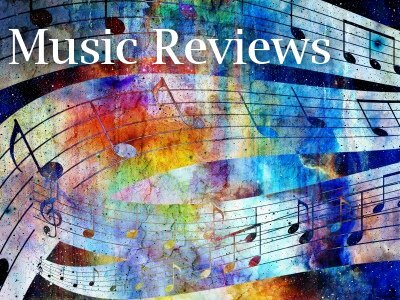 This is not New Age music, nor is it a compilation of “praise choruses” (sometimes called “seven-eleven choruses” for their seven words sung eleven times, ad nauseam). This is singable, listenable hymnody that would be appropriate in traditional or contemporary worship services as much as in women’s spirituality gatherings. The language and images are inclusive; the melodies are delightful, and the harmonies rich. Having been a member of one choir or another since I was in grade school, I enjoy all choral music. My “pet peeve” about some ensembles is that although they have beautiful timbre and harmonization, their enunciation of the text is incomprehensible. I am happy to say that every word of Keepsake is clear and crisp. The singers breathe and pronounce words as one voice. M. T. Winter performs two solos, “Lovesong” and “Lament,” with heartfelt tenderness. Her voice is the voice my mother, who “couldn’t carry a tune in a bushel basket,” always wished she had. Here the song is enhanced with a modulating, contrapuntal piano interlude. Hawks outnumber the nesting dove. Are these the signs You warned us of? “Don’t be afraid . . .
and will not be swayed . . . The samba-like rhythm of this song seems to be at odds with the grim realities of its words until you remember that the point of the song is to reassure — don’t be afraid. We can face even the perils of this new century with confidence and even joy in our step, knowing that God is with us always. © 2005 by Evangelical & Ecumenical Women’s Caucus. Originally published in the Winter (January-March) 2005 issue of EEWC Update, Volume 28, number 4. The film Higher Ground is a story about a rational woman, Corinne Walker, trying to find some solid footing within the context of being literally immersed (baptism is the strong opening image in the film) within the subculture of evangelical fundamentalism.